We're not going to lie, washing your laundry in college is not fun. Other than the fact that you're going to be checking every half hour on your laundry day to see if a machine is available, just the fact that you're...you know...washing laundry makes this task incredibly not fun. However, with as un-fun as this activity is, that doesn't mean you have to have boring dorm essentials for this task. 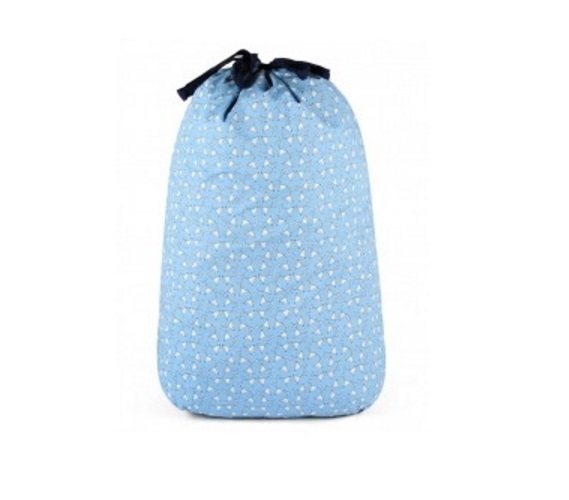 Make laundry day more fun with our Martini Blue - College Laundry Bag. Our Martini Blue - College Laundry Bag has a light colored print with white martini glasses on a light blue backdrop that makes this dorm necessity add to your dorm room decor. Plus, you may just want a dorm laundry bag that has a fun print to carry your dirty laundry to the dorm laundry room. Other than adding to your dorm room decor, this dorm supplies item has a drawstring, which is essential. You want your dorm laundry bag to be carried easily to the college laundry room, and this drawstring will help you do it. Of course, you also want your laundry to actually stay in your dorm laundry bag instead of spilling out on your dorm floor, and with this drawstring you can avoid that as well and keep your college dorm room decor looking great at all times.